Mortal Kombat is on the way, and now we’ve gotten a look at the box art for this epic fighter. Lo and behold, Kratos is gracing the cover! Perhaps that wasn’t such a huge surprise, since Kratos’ presence in the new Mortal Kombat has been covered extensively. However, if there was ever any doubt in your mind, let it be laid to rest, and gaze upon the image below. Okay, so all you really get to see is his eye, but even that looks intimidating. 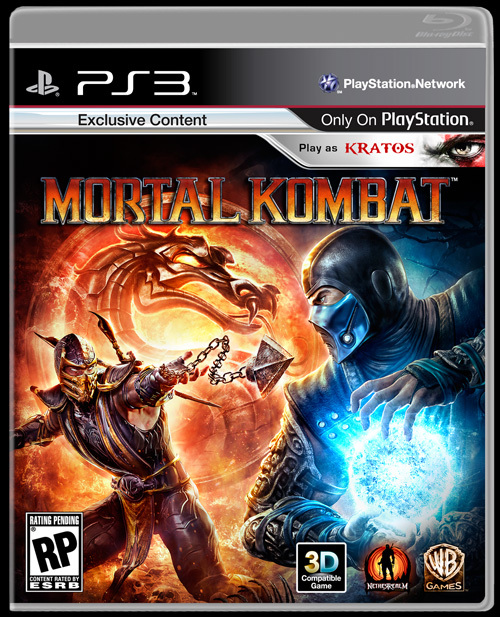 Fan favorites Scorpion and Sub-Zero also look as awesome as ever, and that 3D compatible symbol is enough to make you drool. That is, if you own a 3D TV. Will this box be displayed on your shelf when Mortal Kombat releases in April?